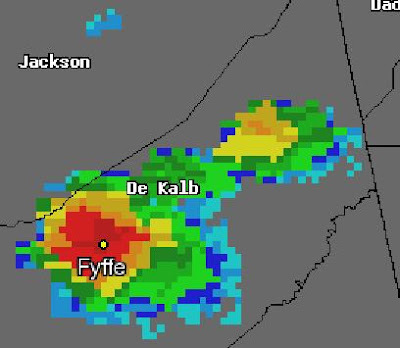 03:40 PM CDT -- Report of utility poles down at the intersection of County Road 72 and County Road 50 near Fyffe. 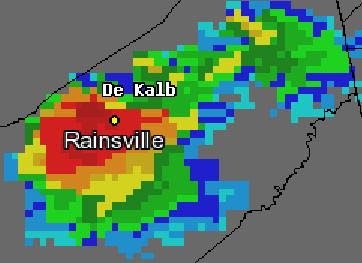 03:57 PM CDT -- Report of numerous trees down in the city of Rainsville. 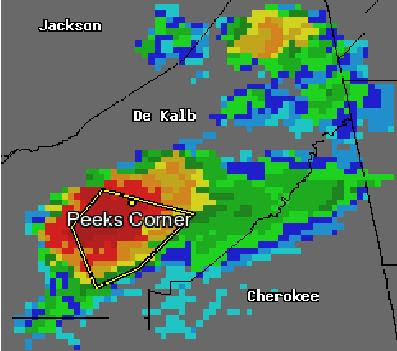 04:40 PM CDT -- Report of a tree down on County Road 52 near Peeks Corner.